A father makes his daughter's dream come true. 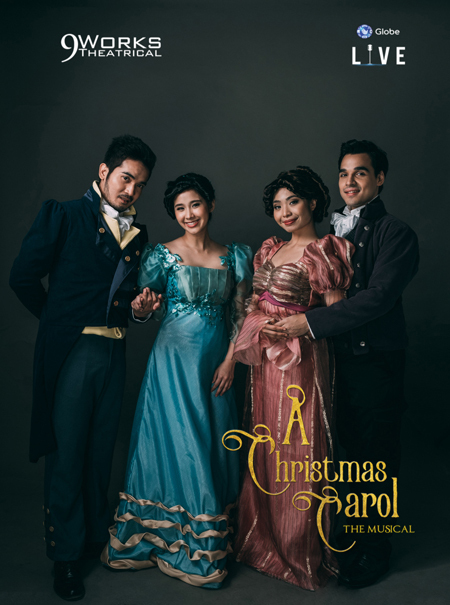 (SPOT.ph) Most of us are familiar with the 1843 novella A Christmas Carol by Charles Dickens. It’s an age-old story following the bitter, old miser Ebenezer Scrooge who hates Christmas. From "Bah! Humbug! ", to ballet performances, films, graphic novels, and plays, it's become a staple in holiday pop culture. 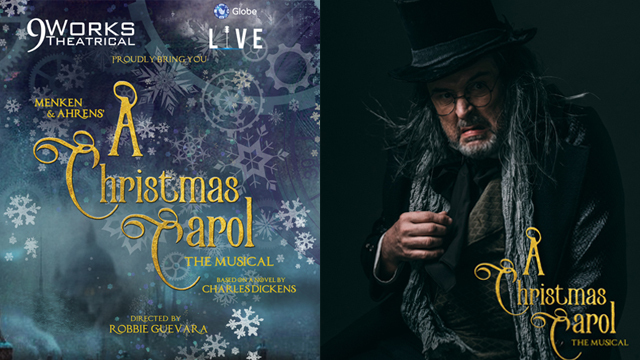 One example of which is A Christmas Carol: The Musical by Mike Ockrent and Lynn Ahrens and with music by Alan Menken and lyrics by Lynn Ahrens set to open on December 3 at the Globe Iconic Store in Bonifacio Global City. "I think some of you know that I have a five-year-old daughter. Anna and I had her listen to the music of A Christmas Carol last December. She just liked it so much that it was already April, I was still listening to the music of A Christmas Carol in the car because she just kept on playing and playing it," recalled Santi Santamaria, president and executive director of 9 Works Theatrical, during the press conference on October 27 at the Manansala Towers in Rockwell. "One day, she said—because her birthday is in December—she said, 'Maybe we can do Christmas Carol for my birthday.' Then, I told her, "Baby, it's not that simple!" he continued. 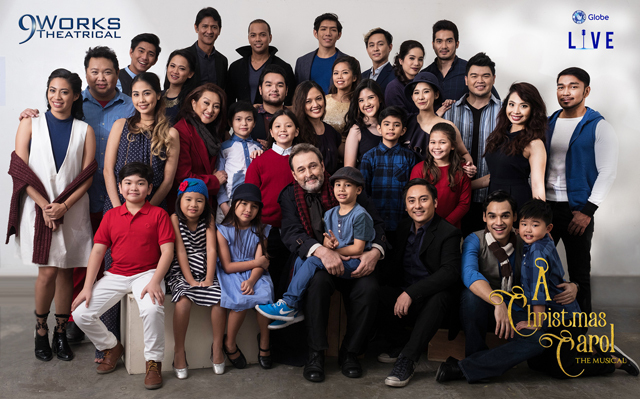 As it turns out, staging A Christmas Carol for his daughter's birthday is actually possible (but definitely "not that simple") thanks to the support of Globe Live which first partnered with 9 Works Theatrical for the production of American Idiot in June. "There are several versions of this story in a form of a musical," started A Christmas Carol director Robbie Guevara. 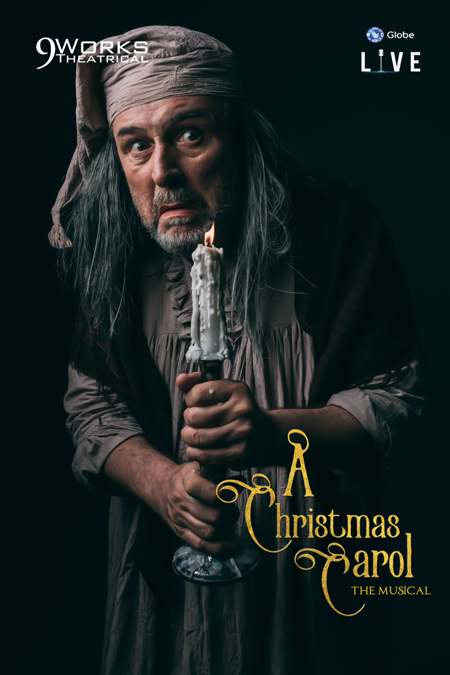 He explained that Menken's adaptation takes after Dickens's preface in his novella that A Christmas Carol is "a ghost story that we should never misinterpret as something forgettable or light. It has to be so scary to Scrooge that it changes him. He has to get so scared that he wants to become a better person." Guevara's artistic direction and co-producer Joe Caliro of Globe Live puts together a play that they describe as "Sweeny Todd-ghastly with a hint of Willy Wonka." 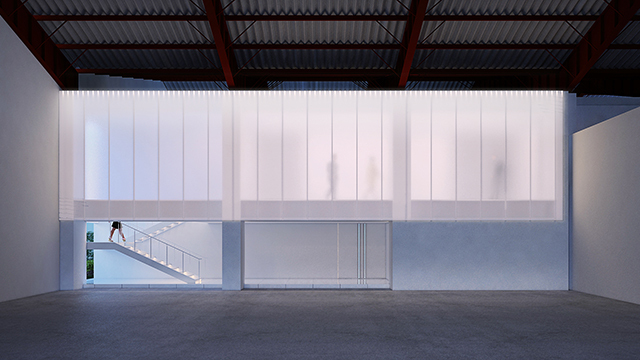 As for the stage, scenographer Mio Infante makes it as experiential as possible by extending the elevated platform at the center "forward, all the way pass the middle section of the Globe Iconic" as explained by Guevara. There will be simultaneous performances on the main stage, on the center "island," and even scattered all throughout the audience area. This called for a different approach in lighting and sounds, as well as an altogether new system for the speakers. And to make the Christmas experience complete, Guevara revealed that "there will be snow!" A Christmas Carol: The Musical stars theater veteran Miguel Faustmann as Ebenezer Scrooge, Ariel Reonal as Jacob Marley, Norby David as the Ghost of Christmas Past, Franz Imperial as the Ghost of Christmas Present, Ela Lisondra as the Ghost of Christmas Future, and introducing Rocco Buser and Dewayde Dizon as Tiny Tim. A Christmas Carol is produced by 9 Works Theatrical and Globe Live. It will have 10 8 p.m. shows from December 3 to 22 and a 7 p.m. show on December 25 at Global Iconic Store, Bonifacio High Street Amphitheater, Bonifacio Global City. Tickets are available through Ticketworld. For more information, visit 9 Works Theatrical on Facebook. All photos courtesy of 9 Works Theatrical.